Yes, Delhi has enough seats to accommodate all nursery kids! I guess this is what our education minister said last year and I am sure they vouch the same even for this year as well, because they always count gverment schools also in their total available seats for te session. According to the DOE, the problem is with the choice of parents, as eveyone wants their kid to go to one of that top schools only. Unless Govt is going to improving the infrastructure and quality of education in govt schools the problem with admissions will remain as is. No seats? There is still some hope…. Your ward did not get seat anywhere? I know how frustrating this could be as I myself have lived thru it in 2007-2008 session. Many parents who thought that they would get a seat becaue fo their links, status, designation and had applied to top 3-5 schools only, are worst hit as they are now having minimum chances of getting to any school. I have been suggesting this on many platforms (my blog, my articles in media, my handbook on Nursery Admission in Delhi, and also in interviews with Radio City…as well) that apply to as many school as you can as that would at least increase your chances. Anyways, the battle is not lost……!! So this could be one hope for few parents and more-over, expect that some wards may have got admission in multiple schools and they are going to keep one seat only and will withdraw from other school and that would give way to some other lucky ward there….and by the way……trust me this worked for me and for few parents to whom i sugested this, if you know such lucky parents, offer them to accompany you when they are going to submit the withdrawal application, you can meet the admission officer and request them to enroll your kid for that NOW vacant seat. 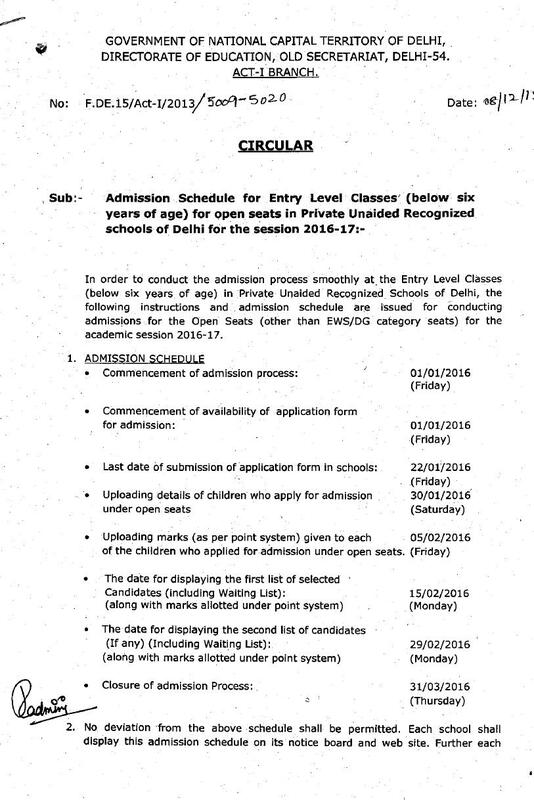 Aprart from this, you can try getting in touch with admission officer yourself and seerequest them to call you if there is any vacant seat…. Nursery seats are for sale? I was just wondering if anyone of parents have heard any such thing this year as well. 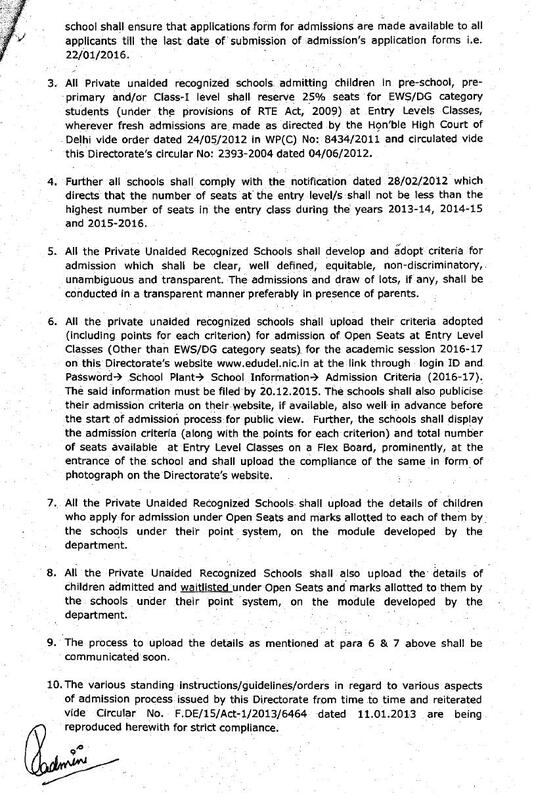 Many have been throwing the names of Amity International, Modern School, Ryan International and also DPS but really no clear evidence have been produced and the reason could be that one who might have paid would not like to expose it as this might put their seat at risk in that school. Lots of things were planned by parents, some joined hands and came forward but lack of real support made it difficlt to continue with helpline. Parents blamed that media was more interested in "stories" than anything else. They chased parents to get "breaking" stories but I guess we all could certainly do better if we all could have met at least few more times and hold our spirits higher. The spark is still there, fire will broke out again and helpless parents will start running around but do you think govt. has learned a lesson from this year's faliure? No! because they dont think that it was a faliure....they have made history. We here are planning to launch this again at a bigger level this time, we are inviting parents (as usual) and for a change, we are involving teachers, principals, and schools (all sort of schools) who think a like on this education, admissions system and are willing to make a difference. Hope the efforts will go in right direction....ameeen! Congratulations on the first day at school and here are some tips, suggestions that you may find useful in preparing yourself and your kid to new school, new friends, and a new milestone if the life. Whether it's first day at a school nursery, or first day at pre-primary school, it's going to be an emotional time, and hopefully an exciting time too...it is a big day! You might find you're more nervous than they are! But whether your child is laid-back or nervous about starting school this day is a real milestone in both of your lives. Your child may be anxious about what to expect on the first day at school. +Don't dismiss your child's fears - things that seem obvious or silly to an adult can seem like terrible obstacles to a five year old. +For that first day, remember to find the camera the night before and put it out ready! +Talk to your child about what they will do if they need the toilet or want a drink of water during the day - who they should tell. You will probably be able to go in with them and you can show them where the toilets are and where they will put their coat. +Trousers with an elasticated waist, and socks rather than tights for girls, might be easier to start with. If they need a belt, the snake elasticated ones with 'S' buckles just pull up and down with the trousers. There's lots more clothing tips on the 'getting ready for school' page. +Make sure they can undo their lunchbox themselves, and cope with their clothing - check it fits before that first morning! As it gets colder, you will need to help them learn to put on their coat and do it up, or it will take them ages to get out at playtime! +You might occasionally want to take an apple or raisins to eat on the way home if the journey is a bit of a trek - help boost their energy levels. Some mums do this everyday for the first year or so. +Expect them to be tired and perhaps a bit grumpy at home as they get used to the new routine! +If you have a younger child too, they might find it strange that the older one is gone for longer periods now. Plan to make a special fuss of them - give them lots of attention until you all get used to it! +Try to say hello to a different mum every day as you collect (not easy to do, but just stand nearby and make a friendly comment - see what happens!). Or if you're feeling shy, just smile a lot and people will talk to you. Once you've got to know a few people it gets easier for you and for the children. Question many parents have been asking...and noone has answer! While my daughter has got admission in school of choice I guess I was lucky and I feel for the others who haven’t been so lucky. One particular thing that draws my attention is that while all the schools came out with the first list adhering to the points system, there hasn’t been any such second or third list of any significance. And assume that all these schools are in the same vicinity ( say within a range of 8 -10 kms) it is obvious that a child getting admission in A,B and/or C will surely get admitted in A.
I have done a study of such schools out of sheer curiosity and found that the number of such overlapping seats would be around 15-20 whereas they have admitted only 7-8 from the second list. 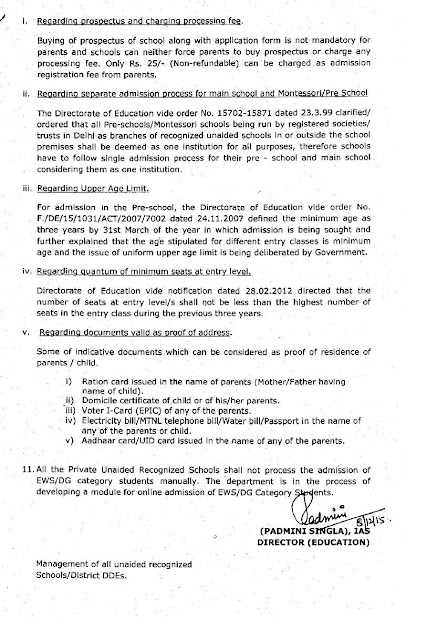 Actually second lists were announced after the fee submission dates of A and B was over. Both A&B had fee submissions dates more or less overlapping each other. So where does those seats go??? Apeejay School, Sheikh Sarai, Panchsheel Park - baby's day out! 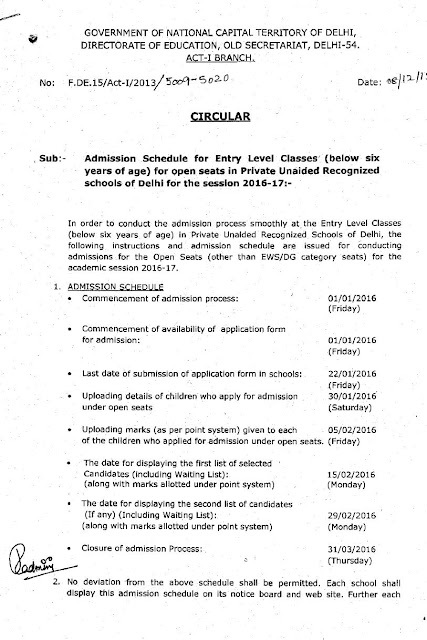 Apeejay School, (Sheikh Sarai, Saket and Pitam Pura) has come out with their first list, I am sure by now most of us have got used to "not seeing" their lil' ones on the lists. I am planning to inform the school tomorrow about this vulnerability so that they can secure the site information. Spyder is not that bad either - I am after schools for voilating norms and after DOE and Mr. Lovely so letting them do . Can't help it! 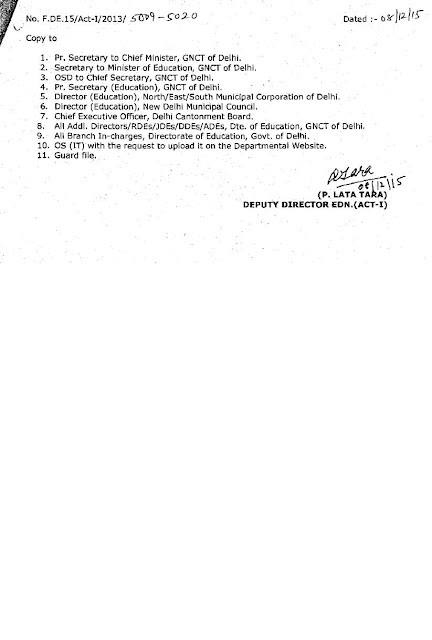 It is confirmed that Apeejay (Saket, Sheikh Sarai and Pitam Pura - all three) has done soemething fishy with the list. There are kids with 40, 45, 50 marks who are on the selection list and there are those with 50, 58, 54 who have not made it to the list. We are sending e-mail to school, lets see what resposne we get, if you have reported the problem to the school and have any info/response from school (any tele conv, mails etc), please share it with us. If we don't hear back from school within next 24 hours, let's see what can be done here! Media? Interested? We have real data! You know my e-mail id - right? Survey results are shocking...we really need to think about it! As you can see, only 4% say that they will try Govt. school, so Mr. Lovely has a reason to smile as he can always come back and say that there are plenty of seats available in Govt. 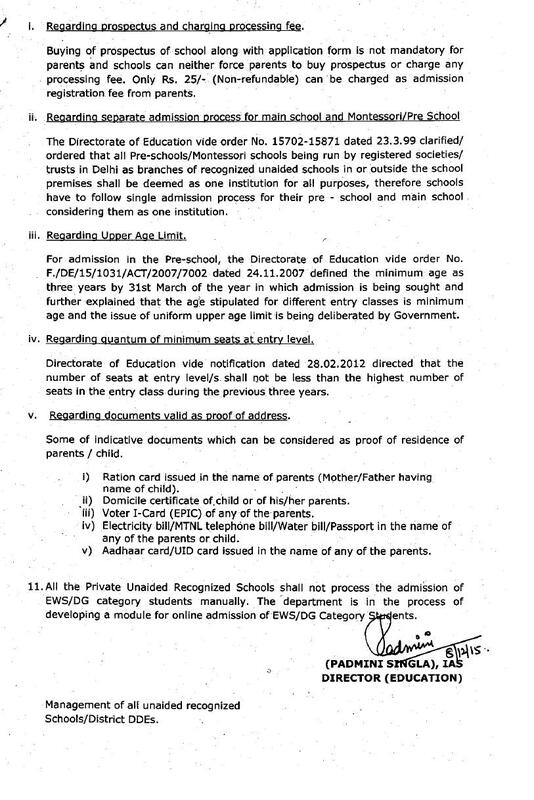 schools but parents are not willing to send their kids/wards to these schools. Almost 40% parents ready to give bribe (well read ‘donation’) to the school/management in order to get that ‘one’ seat for their kid. Some parents (12%) think that they can plan shifting out of Delhi (to nearby regions) as they can get a seat there. The most worrying part is that larger section of our community (62%) still doesn’t know what to do…if they don’t get a seat in Delhi. Overview: Very well organized, the parents who attended interaction at Birla Vidya Mandir would easily get it as it was more or less the same, except that parents had to face two 'interviewers' (sorry read teachers). It was very well organized in terms of time slots, waiting areas, attendents etc. Per reports, it was taking approx. 20-30 mins (school gate entry-exit time) which is pretty much okie. Per reports from parents we came to know that teachers greeted them as they entered and were very friendly. They made it clear that this interaction will not attract any additional points. Interviewers (sorry again, please read 'teachers') were asking questions, so in all it can be called interview. Majority of the parents have reported that they did not check documents in front of them, instead they fired questions to parents. We have got tie-up with online media and we are planning to bring violation to attention of other parents and person responsible at DOE and Govt. This online media will publish the details anonymously so complete privacy will be maintained. We need help from you all, please submit the information, news that you know, or are aware of anyvoilations taking place. E.g: There are schools are asking for Rs. 20000/- or simillar deposit for registration which is non-refundable, or asking for documents that are vague and so on. As some parents reported us that St Mary's school is charging Rs 20K at the time of form submission, but we dont know the exact address of school, so if someone can help us find the exact information we can really tap them, expose them for the sake of our community and our kids. Please send your information to spyderindia@gmail.com and myself being parent of 3 yr old, I respect and assure the privacy in all communication to this mail id. Or, you can post the comments here as well under any name you like. Many thanks to all parents! Our efforts have been paid off! Our collective efforts have been noticed and we were in Hindustan Times - Delhi Edition (Jan 10, 2008, See Page No. 6). I am getting so many e-mails from parents. Thanks to everyone for helping us! Delhi Nursery Admissions: Annoying issues! Who is responsible? I've also noticed so many annoying issues for which i was really looking for a platform to share my views. My first frustration is WE are made to buy the prospectus worth Rs. 250-800 each but still in that no school has given idea of its fee- structure. We are middle class people and have to do future planning for our investments in which child's monthly school expense will be counted. If I know in advance that a particular school will charge how much amount of fee it will be easy for us to take decision whether to apply in that school or not. Second thing I think is that for all schools there should be a same date of declaring of lists so as to avoid confusion and submitting non refundable fees in 2-3 schools. My third worry is the schools asking about the schooling of parents, what if the parents are well educated in post graduation and are in good jobs but hail from Govt. schools, as in our time education was the priority not the school name. I think schools should not ask parents this question in their interaction. Ryan Internation - thinking out of the box! Ryan international is asking for thumb size photo graphs for nursery admissions. Passport size photograph is a norm across all schools except Ryan, so if at all you are planning to apply in Ryan, make sure you have thumb size photograph of your little one. New Green Field Schools, Saket and Alaknanda branches have opened admissions for Pre-School and Pre-Primary today. Detail are available at school and in today's HT - Delhi Edition. Unfortunately the school site (be careful!!!) is full of spam scripts and it's being blocked by anti-virus tools. If you dont have a good anti-virus installed on your machine - DO NOT OPEN THIS SITE!!! 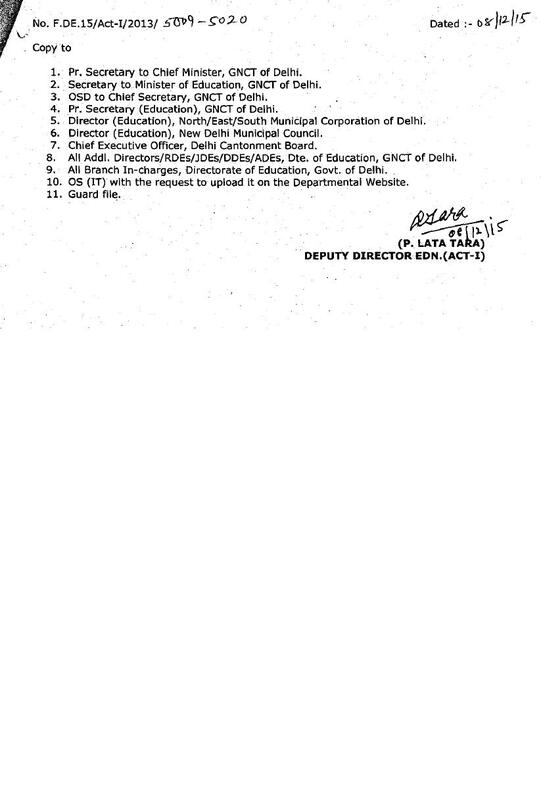 I am have done tie-up with AdIdiot and we have created a forum (http://nurseryadmissionsdelhi.adidiot.com) on this portal. Please join and help in this movement. "I would deffinately like to see the initiatives already taken reach a logical conclusion"
I wish he is thinking of 2008-2009 Nursery Admissions when he said this. You can read his complete message here.